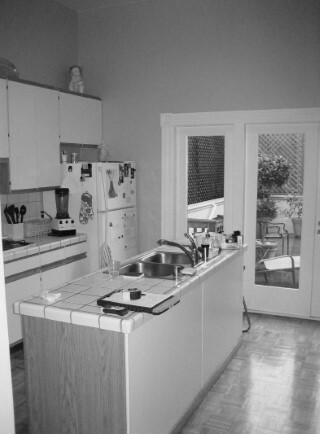 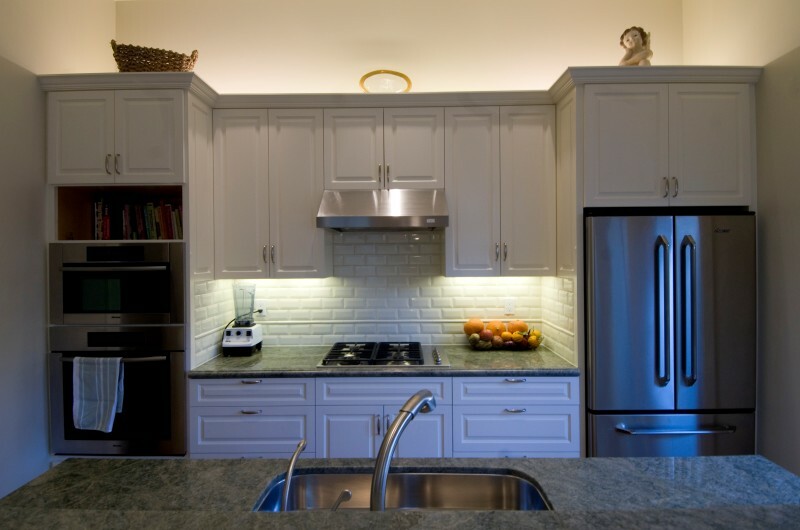 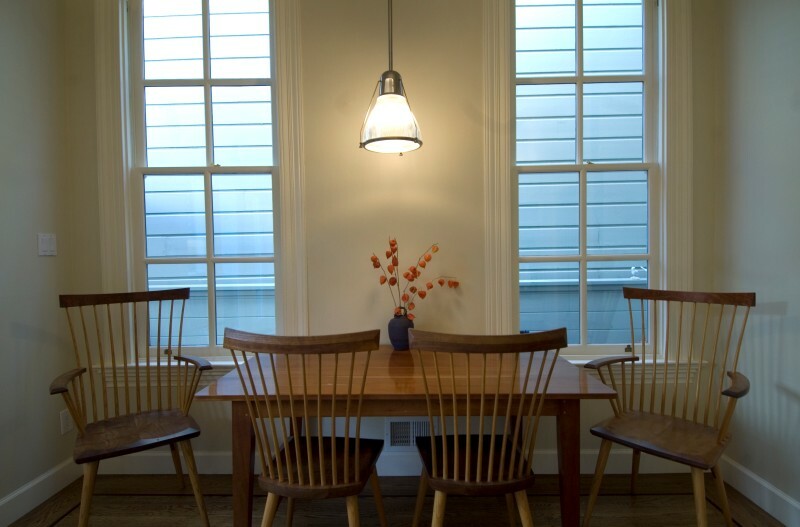 This kitchen and breakfast room remodel occurred in a classic 1900 Victorian house in San Francisco. 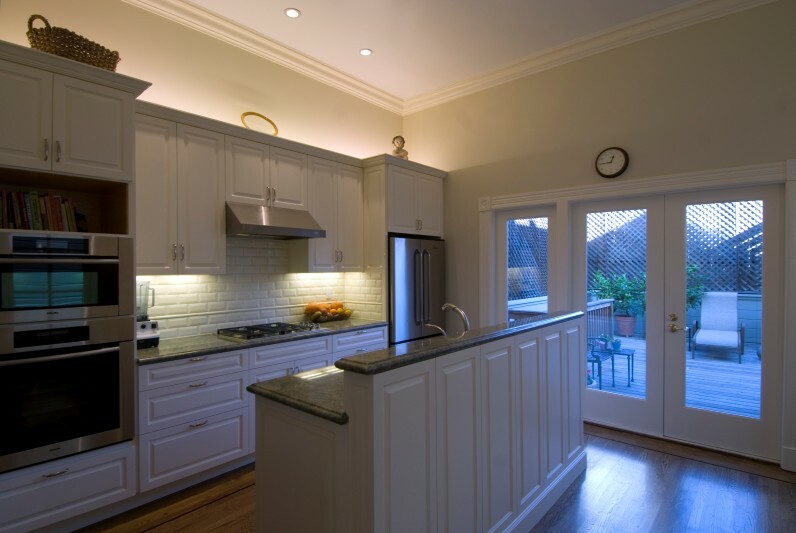 The cabinetry panels match the details of the original and remaining interior doors of the house, and the original mouldings in the house were complemented with the new mouldings in the remodeled area. 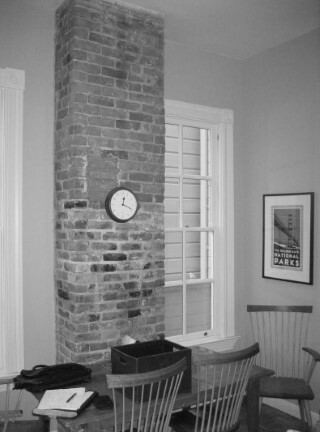 An existing brick chase was removed for a more comfortable breakfast area.